After a terrific Thanksgiving holiday on the island of Maui, we returned to Oahu for day before our red-eye back to New York on Saturday night. 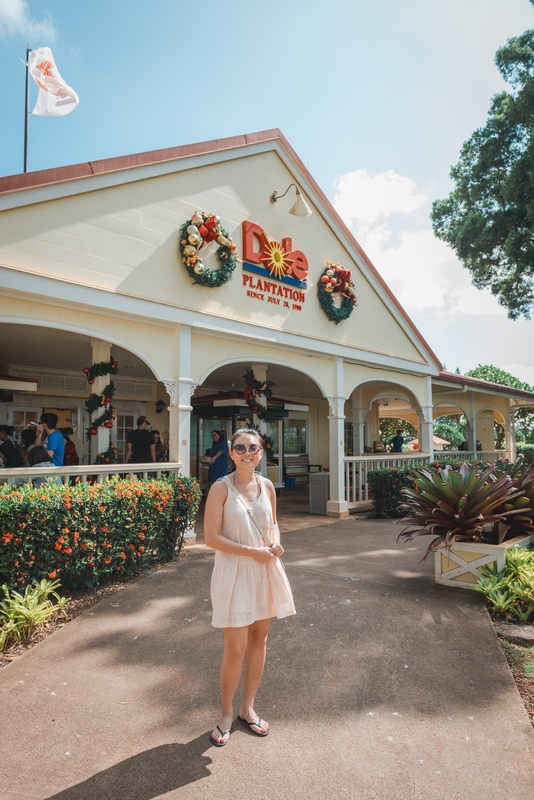 We didn't have much planned, so we got up late, had a big breakfast and made a stop to the Dole Plantation in the middle of Oahu. 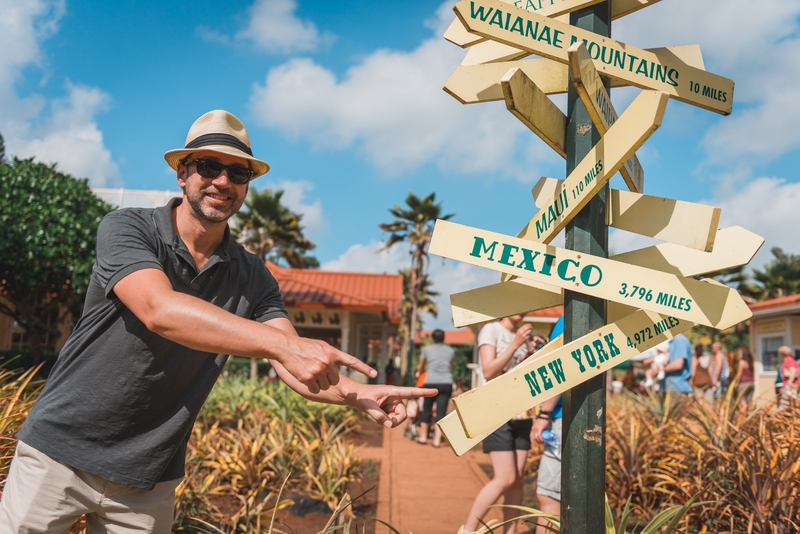 Pineapple farms used to cover most of the Hawaiian islands and while there is still much produced there, it isn't the huge industry it once was. Shipping anything from Hawaii is expensive, and Costa Rica grows a pretty good pineapple as well. 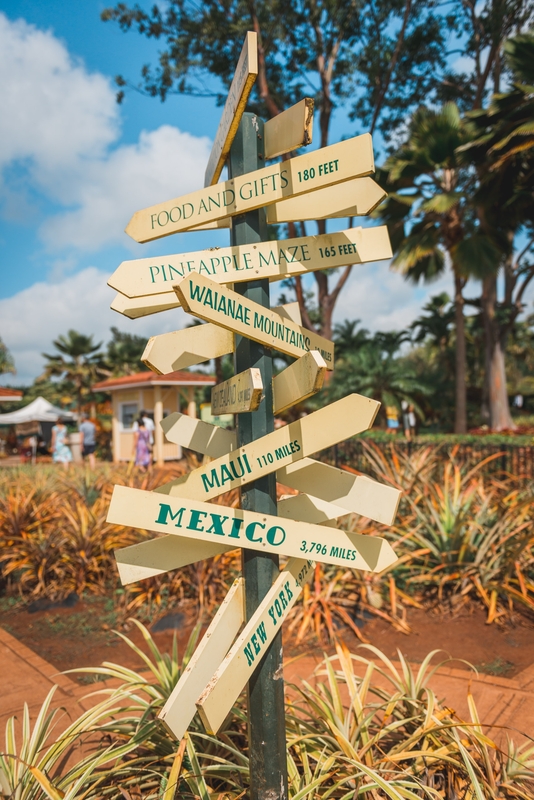 The Dole Plantation used to be a working pineapple farm, but today is a tourist attraction for all things pineapple. 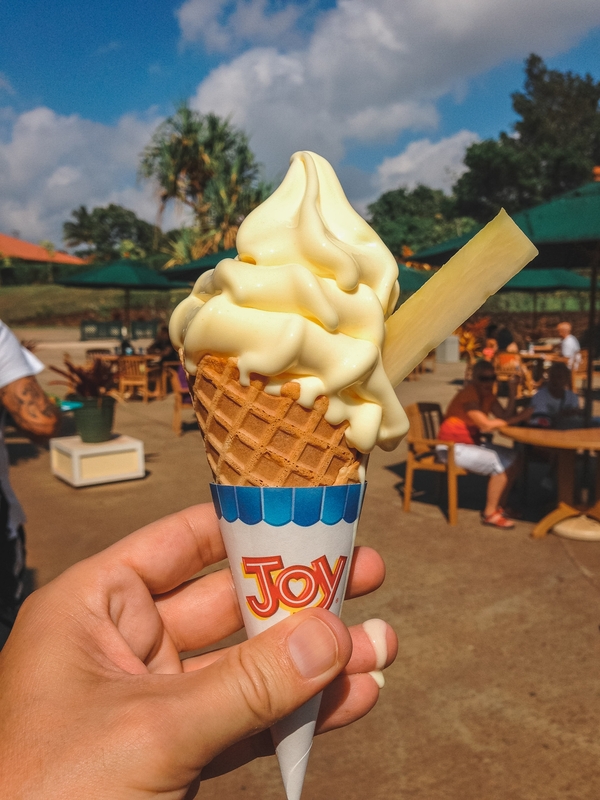 Its a worthwhile stop if you're headed to the North Shore, if only for the famed Dole Whip frozen pineapple dessert we first tried at Disneyland. 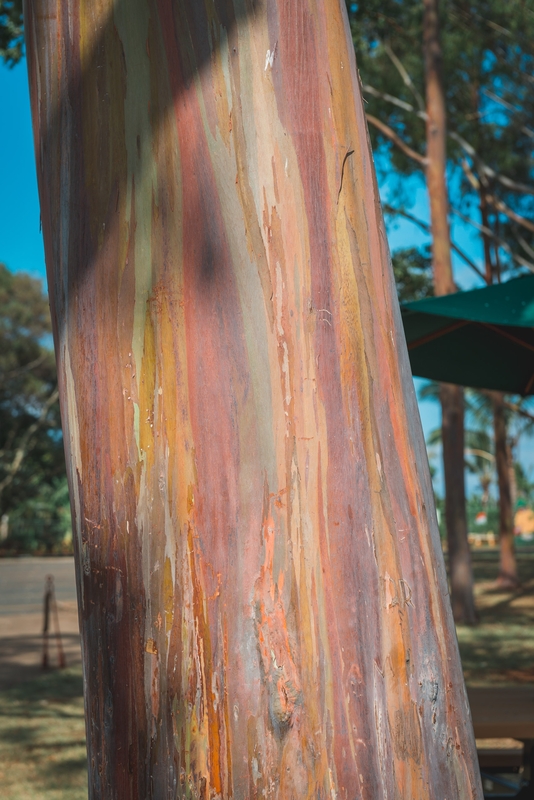 Otherwise there are a number of souvenir stands, a pineapple maze (the largest maze in the world), and a train called the Pineapple Express. 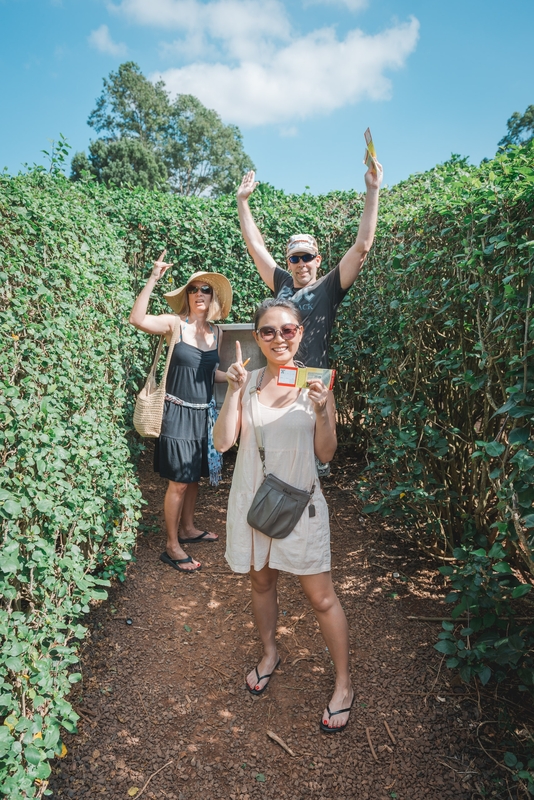 We did the maze, which was fun and not at all like The Shining, and enjoyed the Dole Whip which was the real reason for trekking out to this spot. It's a long way to New York City: 4,972 miles! 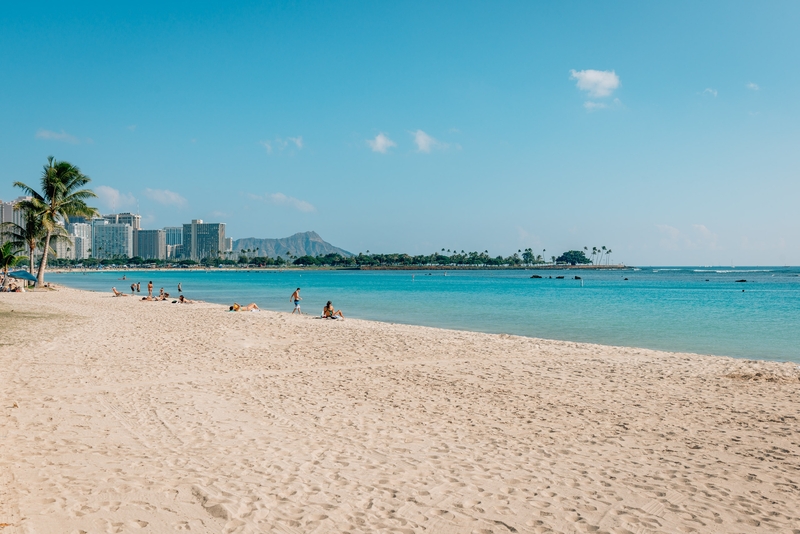 After the Dole Plantation, we headed back toward Honolulu to spend a few hours at Ala Moana Beach Park for some sun, surf and paddle-boarding. 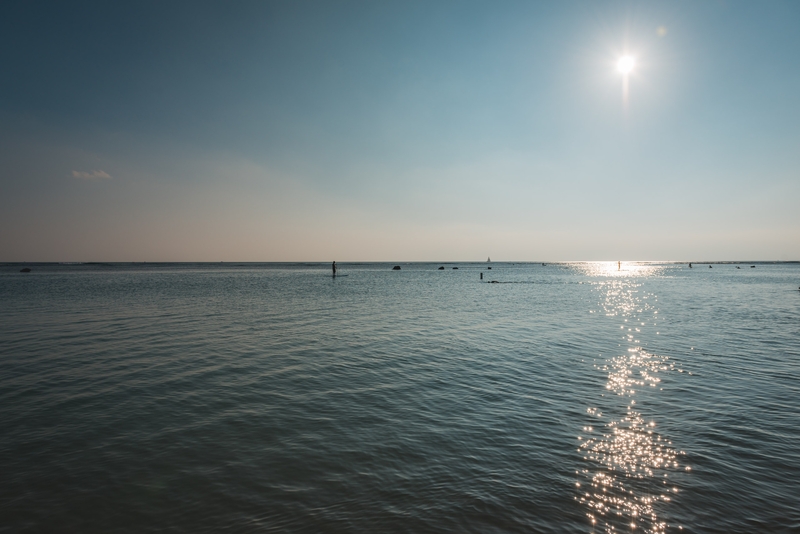 Despite being a beautiful afternoon, the normally-busy beach wasn't at all crowded. Our friend Matt stopped by for a bit, and it was a fine way to unwind ahead of our long flight back home. Many thanks again to John and Carey for hosting and being our guides around the islands. 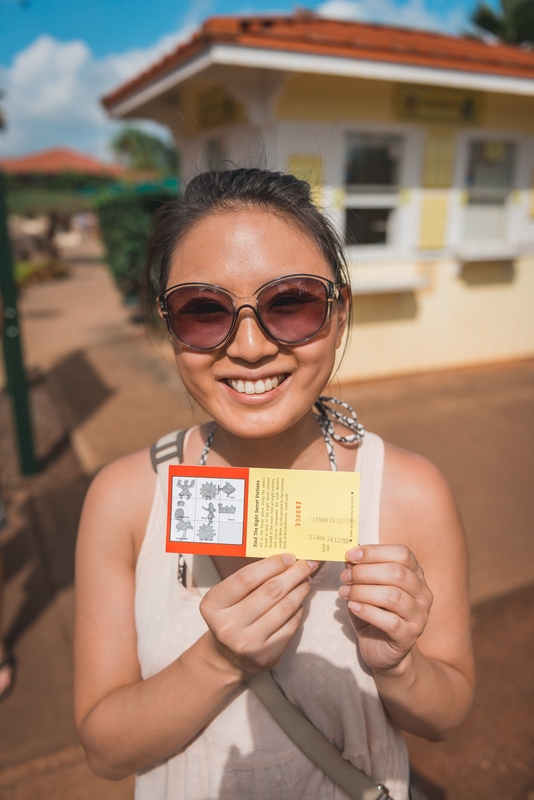 We're already eager to return and explore more, perhaps Kauai or the Big Island. Aloha!